FORT WAYNE, IN (ANS – JULY 7, 2017) – We hear so much today about the massive refugee crisis that is gripping our world. 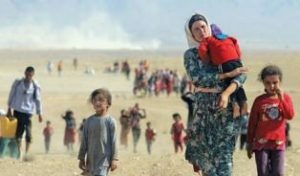 You can hardly switch on a television set without being confronted with shocking scenes of refugees, particularly women and children, fleeing the fighting that rages still in places like Iraq and Syria. Or of refugees being drowned as they try and reach Europe – and comparative safety. But, by the time that news became a headline, 45 million people have been forced to flee their homes. four years later, a staggering 65.6 million people now live somewhere besides home, having been forced to leave either because of conflict or persecution (United Nations Refugee Agency — http://www.unhcr.org/en-us/figures-at-a-glance.html). The refugee crisis brings people into resettlement communities who need help with basic needs like housing and medical care as well as language and employment. Fort Wayne, Indiana, knows these challenges, firsthand, since they began offering a home to refugees in the mid 1970’s. In 2007, the number of refugees resettled in Indiana increased dramatically, accounting for about 1500 new arrivals each year after that. Primarily, Burmese refugees account for 80% of the annual arrivals in Indiana, per the Indiana State Department of Health Refugee Report, 2014. In 1998, one woman saw the needs of refugees in the Fort Wayne community. Brenda Neuenschwander began teaching English to international women, and soon, they outgrew the small apartment where they met. As the need for English classes grew, she searched for a larger, permanent location. Finally, in 2004, International House opened its doors. To date, International House has served over 4000 international people from over 60 countries. 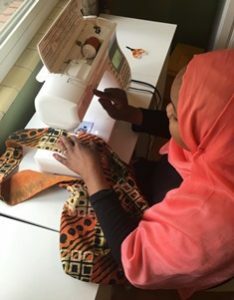 While most of the refugees who have settled in Fort Wayne are Burmese, represented by four different tribes, others are Middle Eastern, Asian, and African. The internationals who come to International House represent various faiths and backgrounds. For Ann, orality feels like the natural and conversational way to share her faith with internationals. 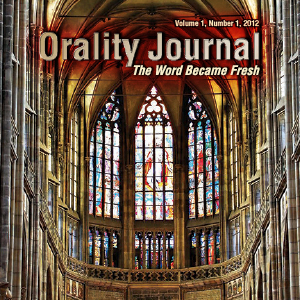 Her first introduction to orality was Jerry Wiles’ book, No Greater Joy, when a friend from her church who had already experienced an orality training invited her to join in training their home-schooled children. From there, Ann attended an orality training at her church with other International House staff volunteers. To date, 10-15 staff have attended an orality training and use their training to weave true stories from the word of God into their work with internationals. 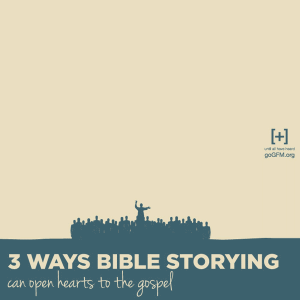 Opportunities to tell stories from the Bible spring up often. 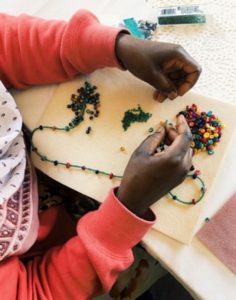 Ann says, “We look to pull in God to a situation, and bring a story into everything we do.” Recently, Ann was teaching a sewing class when a woman sewed her pants pattern upside down on the fabric. Her face dropped. Ann flipped the fabric and said, “Let’s make a smaller pair of shorts,” teaching her, “The seam ripper is our friend. We all make mistakes. Nothing is wasted.” Sometimes, a story from the Bible follows that shows Jesus’ grace and love. 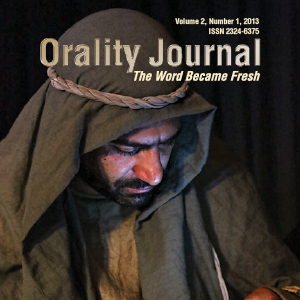 One volunteer, Meredith, attended an orality training in 2015. She said, “It was easier than I expected.” She has taken what she learned in orality training back to her role at International House. “It has taught me a more comfortable communication style, knowing that I can use that to communicate truths of scripture with anyone.” Through her orality training, she’s been more aware that Jesus communicated with the people of his time through stories that they could relate to. During her sewing classes, Meredith notes that opportunities to teach about God come at surprising moments. She has found that Muslim women are interested in stories about Bible people mentioned in the Koran, like Abraham, Noah, and Jesus. When she related the story of creation, the women in her class listened attentively. However, attentive the women may seem, most of them have experienced trauma on their journeys, so trust develops slowly among the staff and refugees who come to International House, especially for the Burmese who were targeted and chased off of their tribal lands and into the jungle only to be hunted down. In one instance, International House received a furniture donation, but the refugees were suspicious about where the furniture came from and suspected that the staff had used their sewing or jewelry for profit. Ann recalls the incident saying, “Understanding their culture and trauma is the key to working with refugees.” The relationship that develops over time keeps them coming back. Since faith motivates their desire to serve refugees and immigrants, International House uses the Bible to teach English classes. They also offer The Magdalena Study about Mary from the Bible and a film series in Arabic that looks at the entire Bible from Genesis to Revelation for anyone interested in learning more. 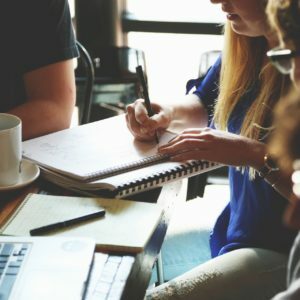 The best teaching moments arise in small groups or one-on-one encounters where trust has developed. In those moments, stories provide the best and most natural means of teaching about God. In her book, In the Land of Blue Burqas, Kate McCord tells the stories of women she met while living in Afghanistan. Listening to their stories and sharing her own stories, left a profound impact on her. She reflects by writing, “Each time we see or hear or in some way grasp a teaching or revelation of Christ, we are drawn out of an area of darkness within our lives into His light and truth, into His beautiful kingdom.” As refugees come to Fort Wayne, the staff of International House hope that they will see “the light and love of Jesus Christ” through the stories they share. Jayne Walters lives in Fort Wayne, Indiana, with her husband, Dave. They have 3 college-aged children: Jessica, Rachel, and Ben. She and Dave have worked in vocational ministry, both churches and parachurch organizations, for nearly 30 years. Her passion for story-centered learning has driven her high school English classroom instruction and, now, her writing and speaking. 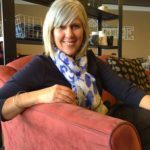 Visit her website, www.JayneWalters.org or her Facebook page, “The Rooted Life,” to learn more about her.